The brief was to design a logo for a fictional character from a book, film or TV. 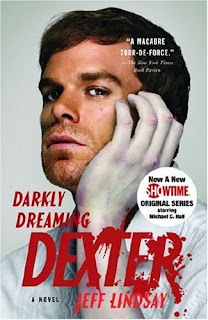 I love the TV show "Dexter" on Showtime, he is a blood spatter analyst who has an appetite for murder after witnessing the brutal death of his mother as a toddler. I find his character complex and intriguing and thought these characteristics would lend themselves well to the project. The logo had to include an image, a quote (of the character's) and the character's name. My image is the anatomical drawing of the heart, I chose it mainly because it was appropriate to Dexter's quote " If I had a heart it would be breaking right now", but also, it resembled the human body and it's insides which Dexter is obviously very familiar with. 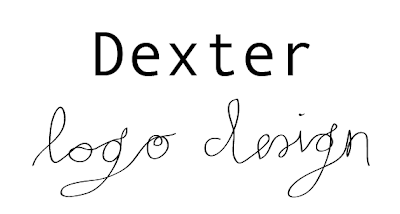 Because Dexter's character is very unusual I skewed the name and tag line so it was at a quirky angle. 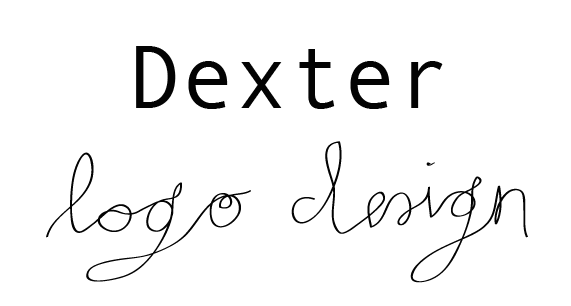 I also highlighted the word "organ" in Dexter's last name (Morgan) as I thought it was an intelligent and appropriate reference to the image of the heart. That was rather lucky though. I couldn't decide between the red and black final designs...?